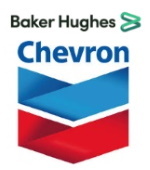 édité le 26/06/2018 - Plus de news de "BAKER HUGHES" - Voir la fiche entreprise de "BAKER HUGHES"
Baker Hughes, a GE company has been awarded a substantial contract from Chevron Australia Pty Ltd. for the supply of subsea production equipment, under a 15-year Master Service Order (MSO), with a second contract for well completion equipment. These technology solutions will enable a second development phase within the Greater Gorgon area offshore Australia, helping to maintain gas supply to the downstream LNG plant. This next phase is the first to be executed under the terms of the MSO with BHGE, signed in March 2016. The SPS scope of supply includes 13 subsea production trees, two eight-slot manifolds, 13 MS-700 SFX fatigue-resistant wellheads and specialty connectors & pipes systems, and 16 Sem2K subsea control systems and associated equipment. BHGE is also supplying well completion equipment and services under a separate five-year contract, including coring work, liner hangers, completions and wellbore cleanup technology. The Gorgon development is one of the largest natural gas projects in the world today, and BHGE has been a key partner in this multi-stage development. The Chevron-operated Gorgon Project is one of the world's largest natural gas projects and the largest single-resource development in Australia's history. The Project shipped its historic first LNG cargo from Barrow Island in March 2016. It is a joint venture between the Australian subsidiaries of Chevron (operator with 47.3%), ExxonMobil (25%), Shell (25%), Osaka Gas (1.25%), Tokyo Gas (1%) and JERA (0.417%). The Greater Gorgon area lies between 130 and 220 kilometres off the northwest coast of Western Australia. BHGE delivered gas turbines and subsea production systems for the first phase of the project, in addition to pipeline pre-commissioning services. Baker Hughes (NYSE: BHGE), a GE company (NYSE: BHGE) is the world’s first and only fullstream provider of integrated oilfield products, services and digital solutions. We deploy minds and machines to enhance customer productivity, safety and environmental stewardship, while minimizing costs and risks at every step of the energy value chain. With operations in over 120 countries, we infuse over a century of experience with the spirit of a startup – inventing smarter ways to bring energy to the world. Chevron Corporation (NYSE:CVX) is one of the world's leading integrated energy companies. Through its subsidiaries that conduct business worldwide, the company is involved in virtually every facet of the energy industry. Chevron explores for, produces and transports crude oil and natural gas; refines, markets and distributes transportation fuels and lubricants; manufactures and sells petrochemicals and additives; generates power; and develops and deploys technologies that enhance business value in every aspect of the company's operations. Chevron is based in San Ramon, Calif.